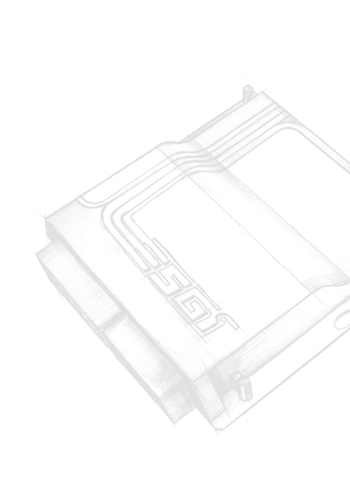 The ESGIŽ-OBD sequential gas injection system complies with the strict EURO-4 and EURO-5 exhaust emission standard and is fully compatible with EOBD. A uniquealgorithmcontrolsthegasinjectors by processing the signals received from the engine's ECU, which makes fuel map programming much easier. Users of ESGIŽ-OBD only need to set the basic engine parameters and run a short adaptation test. Regardless of the engine type it takes only a few minutes to program the whole system. You simply check if the system works correctly and, if necessary, make a few minimal adjuments. ECU ESGIŽ-OBD joins with EOBD of a vehicle, reading the most important parameters of engine's work and makes a correction of gas dose in real time. It guarantees the work of an engine in optimal conditions, during LPG power gas. The system also allows to read and to erase mistakes recorded in petrol ECU. 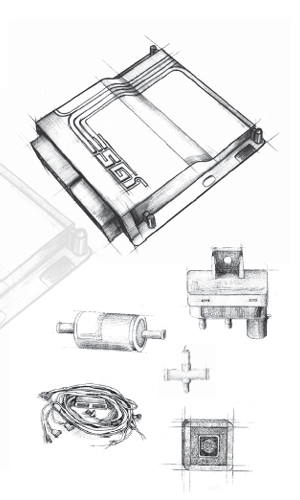 The universal nature of the controller and software allows you to install the ESGIŽ system in almost every vehicle.